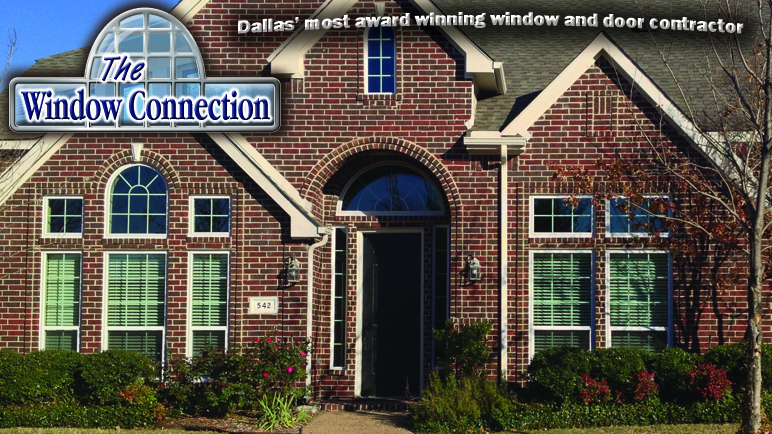 The Window Connection	Residential Windows & Doors	For Dallas, Plano, Carrollton, McKinney, Frisco, and all of the Metroplex & North Texas	Learn More! Offering Ten	Different Window	Manufacturers! More replacement window choices for you and your home	Find out More! Vinyl Windows	in More Styles! More colors and options than any other supplier or installation contractor in North Texas	Contact Us Today! Entry Systems	Storm Doors and French Doors	Offering fiberglass, aluminum, vinyl, iron and hardwood doors. Contact us today! Better Windows	Better Installs	The most award winning window installations in Dallas	Call us today! Offering Ten Different Vinyl Replacement Window Manufacturers with three to five models each means more options for your home vinyl windows. Vinyl windows make up more than 80% of the market in the Dallas Fort Worth Metroplex. We offer cheap vinyl windows, high quality mid ranged replacement windows as well as the most amazing high end vinyl windows. Dallas and its suburbs have diverse home styles with different needs for the home windows depending on the architecture layout and curb appeal. Options include Casements, Double Paned and Triple Paned Windows; Low E Glass with Argon, or Krypton Gas for the best performing vinyl windows. Dallas has choices that only the most experienced of installation providers can offer. We proudly offer Alside, NT Windows, Simonton, Don Young Company, Jeldwen, Atrium, Lansing, Burris and Associates, MI Industries and other local and nationally known brands of quality vinyl windows. With exterior finishes in custom colors from three different window manufacturers, it just makes sense to know the options on vinyl windows! Vinyl Windows, Dallas, Texas, NT Windows, replacement windowsLearn More! Window installation is the most important part of any replacement window project. The way the window is measured, the way the old window is removed and the installation are the most important parts of the project. Almost anyone can tear out a window and some folks can put one in and get it square and working properly. The real devil is in the details. 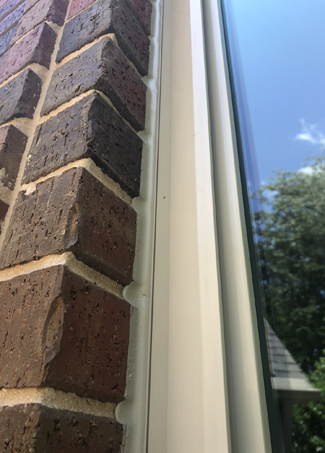 Caulking beads are crucial and the defining look in a window replacement project. We have special techniques that no one else uses. It's more time consuming but it's worth it in the finished product. We take care in protecting floors, doing better clean up, addressing alarms, protecting walls and just doing a higher caliber of installation. While anyone can sell you products, and they can use virtually anyone to install the products. The difference in a good job and a mediocre job is about the level of caring that comes from the provider. Window installation, install, installers, contractors, sub-contractors, employees, qualityLearn More! Replacement Windows can offer more than 4 times the heat reflective capabilities of a typical builders grade double pane vinyl window. U Values can be all the way down to .16 with a triple pane window with Krypton Gas. Energy Star Rated isn't the whole story on a home improvement and especially vinyl windows. A replacement window is generally manufactured without fins and has a more substantial frame than do builders grade cheap vinyl windows. Replacement windows can have custom exterior colors, styles, interior woodgrains and other options that make average into spectacular. Replacement Windows can offer grids between the glass or simulated divided lite grids for a classic look and a great window option. Because replacement windows are utilized in existing homes, there is a great deal of skill involved in preserving and protecting the floors, sills, brick and sheetrock in a replacement window project. Skill and experience have no substitute when it comes to installing replacement windows in a way that will last a lifetime. Replacement Windows, Dallas, Texas, builders grade, vinyl, double, triple, pane, paned, vinyl replacement windowsLearn More! This is a great update that we've used in Dallas for years. There are more styles than just picture windows or single hungs and double hungs. 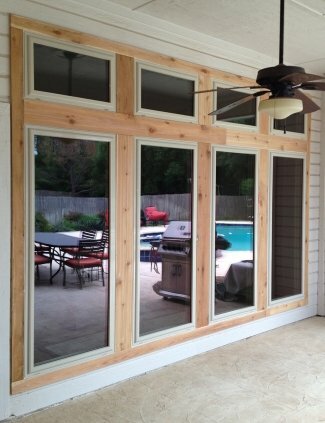 This casement style has swinging end glass panels with interior screens. New wood trim and we have a very happy customer in Dallas. This type of window looks great with a grid pattern called Prairie Lite Grids and it can really lend to a cottage feel. I use this a great deal in the side dining room window or the kitchen window as it speaks to having been replaced with a great window and that brings the home improvement to light for potential buyers of the property. It really can say "I've thought about the details on my window replacement." Resale value of a home is always increased with the right updates. This is how the professionals flip houses. You can enjoy great windows and get a resale value upside as well with the right replacement windows. 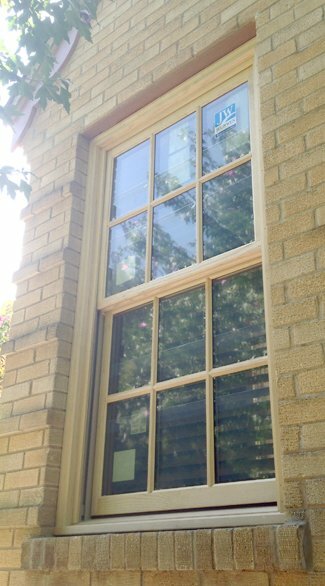 Casement, Vinyl Windows, Dallas, Texas, vinyl casement windows, Alside WindowsLearn More! Skill in installation is not talked about very much except in blogs and window reviews. The biggest variable can be the window but it can also be the window installation provider himself. We are very proud to be the most award winning window and door installation contractor in Dallas. D Magazine Best of Dallas Contractor, Former Guest Contractor for The Learning Channel, NT Window Dealer of the Year, Editorial Resource for Dallas Metro Home Improvement Magazine, Design Consultant for WFAA Channel 8 Designing DFW Dream Home, A Rated by the BBB and Angie's List. We were also named in 2017 as a top 16 installation provider of the 313 that are out there. We bring more installation experience and care to every home we work on. No one can offer more expertise and experience. Bad window reviews are all over the internet and installation is the main complaint. Find a contractor that really knows how to produce the best results for your home. window installations, installers, contractors, replacement windows, vinyl window suppliers, Dallas,Texas,installationLearn More!! Many of the windows offered in the current market have very fat frames. Lots of plastic to look at instead of glass to look out of. For many homeowners this kind of home window is just not aesthetically pleasing. Too much vinyl isn't a pleasant part of vinyl replacement or vinyl builders grade windows. We are proud to offer window manufacturers that have narrow frame windows as well as the usual options. Generally the difference is to move towards single hung vinyl windows instead of double hung windows. Double hung vinyl windows are naturally more bulky while single hung windows are more streamlined with more glass. They also perform better, have more glass and are easier to clean with a water hose. As a rule a single hung vinyl window will have a U Value that is a point better than a double hung vinyl window as well. These are picture windows that don't operate but we also have operating style windows with less frame as well. 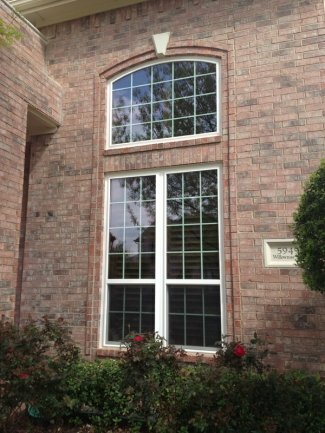 Narrow Frame Vinyl Windows, Coppell, Texas, Single Hung, Double Hung, replacement windowsLearn More! 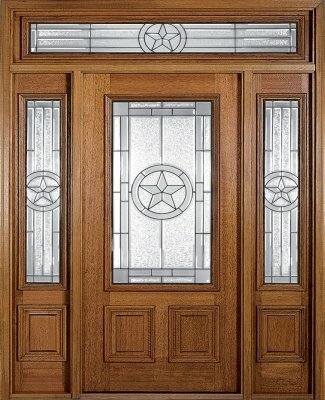 Exterior Doors, Full Glass and French Doors from more quality door manufacturers than anyone in Dallas! ThermaTru, Provia, MAI, General Door and more! 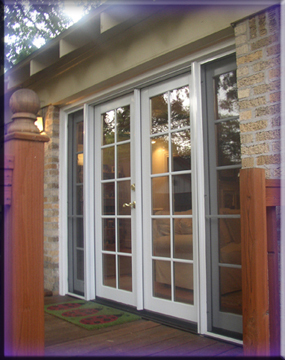 We offer tall storm doors, several models of French Doors in Fiberglass, Steel and Wood options. Entry systems with sidelites, transomes, adjustable thresholds and amazing hardware. More importantly, we offer the high quality door installation that makes your doors a joy to see and use for decades to come. Doors should always be prehung with new jambs and thresholds but some major variables are jamb thickness, type of jamb, factory painting options, color of threshold, hardware and types of trim. All these play a big factor in the cost of a door. There are even a dozen types of full glass doors on the market and knowing the difference is a really great idea when making a home improvement decision. 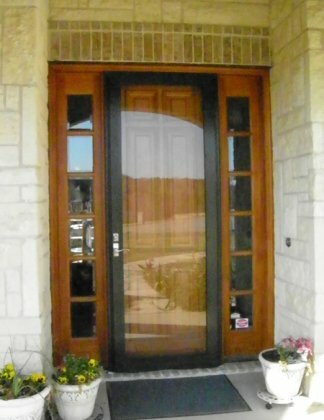 exterior doors, storm doors, french doors, entry systems, sidelites, transomes, Dallas,TexasLearn More! Some windows have a classic feel and look that is amazing and can only be accomplished with Wood Windows. Dallas has historical districts, homeowners associations and parts of town that are just known for the wood window look. 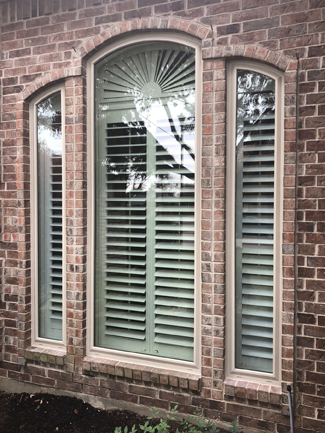 We are wood window experts and among the few contractors in Dallas with tens of thousands of dollars in hands on experience with this amazing home improvement. We see them in Lakeland, Highland Park, University Park and use them around Grand Avenue in the historical homes that just need that special look. For the most part it's the grids. These were true divided lite grids with wood that protrudes from the inside and outside of the glass, in modern context we have the simulated divided lite grid to accomplish this goal and the look is truly timeless as far as a wood window look. This is a Jeldwen Wood Window but we also use Marvin, Andersen, Pella and other big names in the window world. wood windows, wood replacement windows, window grids, SDL, divided lite, simulated divided lite, true grids, Dallas, Texas, University Park, Highland Park, historical, homeowners associationLearn More! Picture windows are a way to get more of a view of the back yard and have grown in popularity as replacement windows on homes. Windows that once had a horizonal bar in them and opened for ventilation are now a bit less popular as far as design in a remodeling context. We don't open windows much in Texas and having the more open look is a great way to make a room look bigger and bring the outdoor living space in closer. Its a way to really update the look. When they're close to the ground they do require tempering which is a slightly higher cost in replacement windows but the look is considerably more modern and inviting. This set up has windows that move up and down as flankers but casements can be used to eliminate all of the horizonal lines and really open up the opening while keeping the ability to ventilate. Knowing the options in replacement windows is a big plus. We're here to help you know all of what's available. 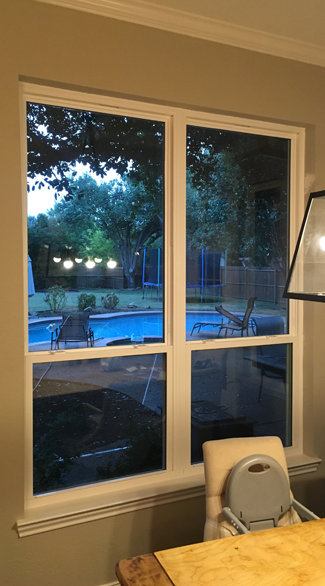 By Dave | picture windows, vinyl, replacement windows, full view, tempered, Solid Glass, Colleyville, TexasLearn More! This is a seldom talked about but very important aspect of modern replacement windows, especially vinyl replacement windows. Frame thickness can be okay when it makes the window look better but is really bad when it makes the frames look too fat or too obnoxious. We're sensitive to that having hung literally thousands of windows all over the country. 3 3/4 inches of frame. That's about seven and a half inches in a twin or mulled window. Almost the width of a legal pad or notebook paper. It's really fat. It's a lot of plastic. We're big advocates of Single Hungs as opposed to Double Hungs for instance. Double Hungs may seem neat when you're getting a demonstration but they are not really functional, they can't tilt a tall sash very well in a window over six feet tall, they don't perform as well as Single Hungs and they don't perform as well thermally. The flip side to that is this. Some Single Hung or narrow framed windows are really bad from a longevity and structural integrity standpoint. Much like a car, there is a needed value point and size needed but we need to avoid too much in order to find the great performance, longevity and value that we're looking for in a vinyl replacement window. vinyl windows, frame, thickness,narrow, replacement windows, performance, longevity, valueLearn More! Storm Doors are great when they work right and just awful when they don't. We are proud to offer our no-sag doors in all sizes including very tall eight foot tall storm doors in both full glass and operating or ventilating as well. In White, Beige and the illusive dark brown or Bronze color. More than just great looking, they will hang correctly for decades and unlike big box store doors they never sag and always seal. This is a North Texas favorite and for those in Plano, McKinney, Frisco and other points North of Dallas it's tough to find! It's an eight foot tall storm door. We have the air tight storm door you're looking for in solid glass and operating (ventilating) models. They open to let air in and catch a breeze. It's truly Dallas and Fort Worth's best storm door. Call us today and we can help you find the perfect storm door. By Dave | storm doors, operating, full glass, full view, tall storm doors, eight foot, Dallas, TexasLearn More! These can seem so expensive but they really aren't when you know where to go. Sunrooms can be installed in just a few days with patio covers and arbors at just one day of actual labor. For the smart home owner this can be an amazing home improvement at an amazingly affordable cost. Many times adding square footage is a great way to increase home value before a sale as well. Space or value, or perhaps both if you make the move now and enjoy it for a while. Call us today and let us show you how cost effective it can be to add living space to your home with a great new sunroom, or how to cool off in the back yard with a new thermally insulated patio cover or arbor. 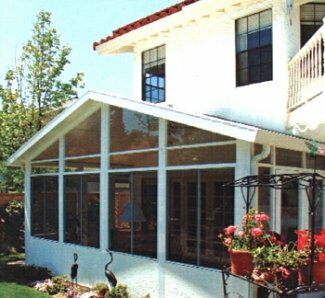 sunrooms, patio covers, arbors, Dallas, Texas, cedar, aluminum, enclosures, porch, patioLearn More! 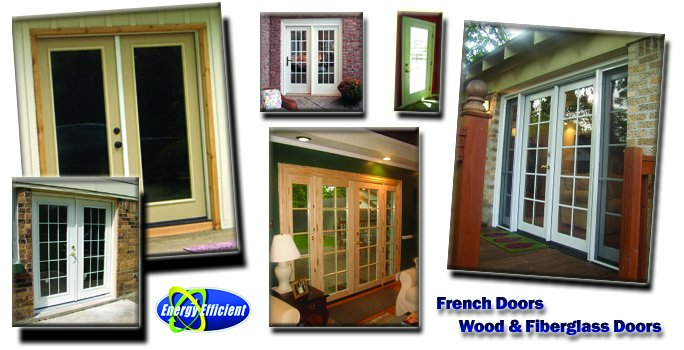 See our residential replacement exterior doors and french doors. Our Gallery of 400+ Pictures of our past work in Dallas and surrounding areas. What do wood or vinyl replacement windows actually cost? Electric Bills can only go up and if you're house has trouble cooling it can only get worse. The Cost vs. Value Report for 2018 shows windows increase a home value at 76% of retail cost. We sell cheaper than average! Where can I look at storm doors and do you have tall storm doors? 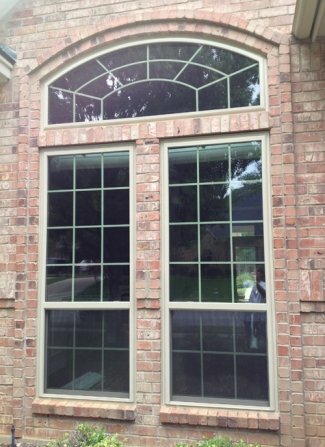 A great vinyl window project or two from the City of Coppell Texas. Coolest little town in North Texas is surely Addison. Here's what we did there. Some of our work in Southlake Texas. Yes we do get around a little bit. An NT Window Project from Arlington shows off this local window manufacturer. Some from the folks on the other side of the lake in Rockwall and Heath. "Dave Traynor is one of the best experts in his field of work! His support for our TV Dream Home 2013 on our tv show on the ABC network has been a wonderul experience to work with a great expert. I recomend Dave and his company if your looking for someone honest and talented!" "I felt good about the Angies list A rating and the BBB A rating. It's good to know you're in good hands. These have really changed my life!" "This is great. These are actually about 50% quieter than the double paned windows I had." "I noticed it was quieter on the first day but the temperature being the same throughout the house is wonderful too!" 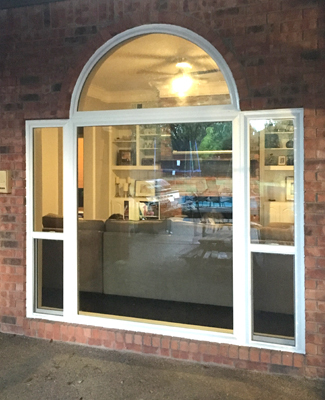 "We were so pleased with our new storm door. It made all the difference to be able to open the door and ventilate"
"I appreciate the quality of the workmanship and the clean up work especially. They did a great job." Jeff S. Lake Highlands Tx. @dallas_windows We're very proud to have The Door Devil name us as their official authorized installation contractor for North Texas. New Replacement Window Gallery of 400 high resolution pictures of our work!! Our cool new Before & After gallery of excellent vinyl window replacement installations!! The Window Connection Blog offers our freshest articles on sound abatement, Heat reflective glass, Cost vs. Value and other topics. Our Youtube Channel with over 46,000 views. More than 30 poeple a day nationwide watch us remove and replace vinyl windows. We were named one of the top 16 window contractors of more than 300 in Dallas and Fort Worth by Expertese.com. What an honor. Call us today. 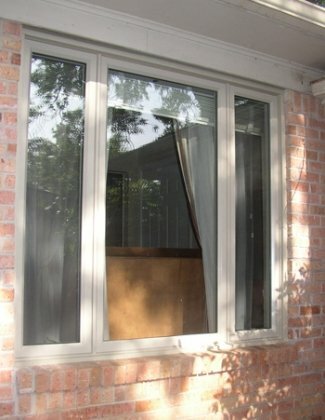 Let us get you more information on vinyl replacement windows here in Dallas! If you prefer, email us about your project and we'll get right back to you or send a note to get our email specials.